There is hardly a week that passes that my dieticians and I don’t hear about the healthy eating habits some individuals think they have. After all, they tell us, “I am careful to buy products with no harmful ingredients. I always try to buy something that contains whole grains, low salt, low sugar, no additives, no cholesterol, etc.” The problem is, these individuals are being fooled into buying “healthy” food that really isn’t healthy at all. No Preservatives, No Artificial Flavors, No Artificial Colors, Natural, Organic, Cage-Free Eggs, Pastured, Vegetarian-fed chickens, Grass-fed or Grass-Finished beef, No Cholesterol, Low-fat or reduced-fat. You might have seen gluten-free, fat-free, and all-natural. No MSG. Do these terms mean anything to you at all? They actually should be ignored—you are looking at the wrong side of the package. In the United States, every third adult (35.7%) is obese, as is almost every fifth youth (17%) (Ogden et al. 2012). Those of us who subsist on the western style diet just end up sick with something. If all the claims on the front of the food packaging were true, meaning that the food was healthy, why don’t we have a healthier population? Yoni Freedhoff, MD, is a physician, professor and weight loss specialist in Ottawa, Ontario. He points out that there’s good reason to be skeptical about claims on food labels. “If the front of a package needs to convince you of the healthfulness of its contents, there’s a darn good chance its contents aren’t healthful,” says Freedhoff. In fact, the average consumer makes over 200 food-related decisions each day. Researchers describe most of these choices as being on “mindless auto-pilot,” (Wansink & Sobal 2007). As food journalist Michael Pollan likes to say, the items in boxes and containers in the interior of the supermarket are “food-like substances”, but they aren’t real food. The marketing people trick us into thinking what we are consuming is good for us, but the opposite is usually true. In 2012, $116 million was spent marketing healthy fruits and vegetables (real food). That sounds pretty impressive, until you consider that $4.6 billion was spent marketing fast food (Orciari 2012). And marketers have become increasingly likely to make heavy use of health claims on the front of food packages. These claims are worthless. The amount of harmful ingredients can easily be more prominent and outweigh the one or two healthy aspects of the food. Pollan also says that the fresh produce doesn’t have to make healthful claims—only foods that aren’t healthy have to “talk” to you and “brag” about themselves. Product names and product descriptions have both been shown to influence buying decisions. The name of a food has a strong influence on consumers expectations of the product’s taste and if it will be filling or fattening. These expectations, however, are often detached from reality (Chandon & Wansink 2012). A well-known brand or product description also impacts taste expectations, experiences and retrospective evaluations of the eating experience (Chandon & Wansink 2012). Science has shown that items with descriptive names (words like “succulent”, mouthwatering”, “delicious”) attract a greater number of positive comments and are rated as more appealing, tasty and caloric. The bottom line is that the prime location for labeling is the front of the package. This is what stands out as consumers stroll through the shopping aisles. 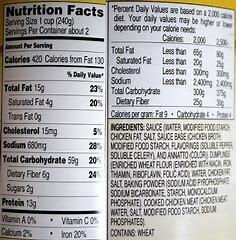 People are less likely to check the more accurate Nutrition Facts Label on the back of food packaging when front-of-pack labeling exists (FDA 2009). Research tells us that people think foods with front-of-package health claims (“rich in omega-3,” “supports immunity,” “low-fat,” etc.) have fewer calories and are better for their health. This phenomenon is known as the health halo effect. It’s an area extensively studied by Brian Wansink, PhD, a marketing professor and behavioral economics expert at Cornell University in New York. Front-of-package claims “cause us to believe the food product is much healthier than it actually is,” says Wansink. And health claim labels like “free-range, gluten-free, pesticide-free” and “antioxidant-laden” cause consumers to think, “The more [of this food] we eat, the better.” People typically eat 44% more when there is a health claim on the front label,” he adds. The practical effects of the health halo effect have been summarized by author Marion Nestle, PhD, MPH, a professor of nutrition, food studies and public health at New York University. She wrote, “Health claims sell food products. People like buying products with a ‘health aura,’ no matter how poorly the health claim is supported by science. Science is irrelevant here. Marketing is what’s relevant.” What’s the end result? Consumers usually believe front-of-package claims, perceive them to be government-endorsed and use them to ignore the more evidence-based Nutrition Facts Label on the back or side of the packaging (Nestle & Ludwig 2010). “But it’s all natural” proclaims Isaac, a client of mine. I try over and over to explain that it might be natural, but he is eating too much of it. Taking something “natural” and causing yourself harm by over eating it is a problem. I also tried to convey to Isaac that just because the food packaging said the word “natural”, doesn’t mean there isn’t some processing involved with the food. The word “natural” helps to sell over $40 billion a year in food products in the United States (Ferdman 2014). Nearly 60% of people look for the word “natural” when they shop for food, and about two-thirds believe it means that a processed food has no artificial ingredients, pesticides or genetically modified organisms (CRNRC 2014). In reality, the term is largely devoid of meaning because there is virtually no regulation from government bodies in this area. Miriam came to me two years ago and she was obese. At the intake with our dietician, she was emphatic about how she ONLY used low fat and fat free products. Miriam couldn’t understand how she became obese if this had been her practice for years and years. What she didn’t realize was that just because there is no-fat doesn’t mean there are no calories. And she also had no idea that many of these products contain artificial sweeteners which we now know can cause metabolic problems that cause weight gain and diabetes. Reduced fat is a popular term that is really almost meaningless as it is only a relative term. 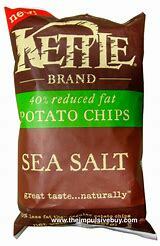 Reduced-fat foods must have at least 25% less fat than regular versions of those foods (Web MD 2014). The key point is that “reduced” is relative only to the original product of comparison, not to a healthful standard, says New York–based food expert Teri Mosey. 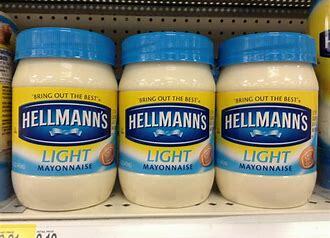 For instance, many of us buy reduced calorie or reduce fat mayonnaise. Compared to the regular product, it is less calories and fat. Ignore the front of any food packaging! Look at the back of the package. Remember, you are looking for whole grains and natural products. Beware of all the forms of sugars. A supposedly healthy yogurt can easily be turned unhealthy when it contains large amounts of sugar. Sometimes you must search for this information in the small print on the back of the container. Also, if you see the word “hydrogenated”, that means trans-fats are present.